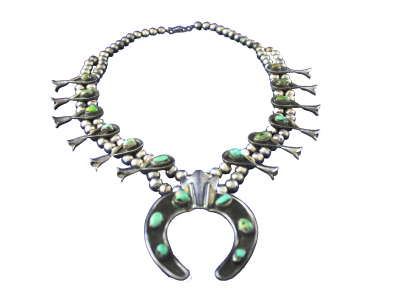 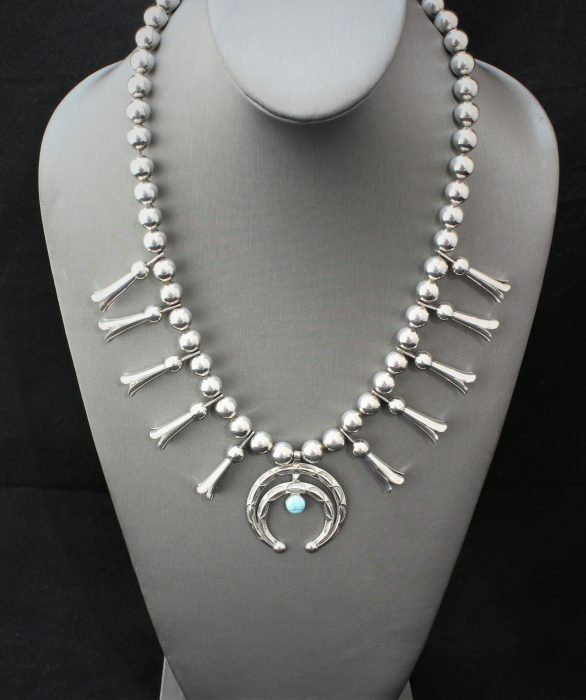 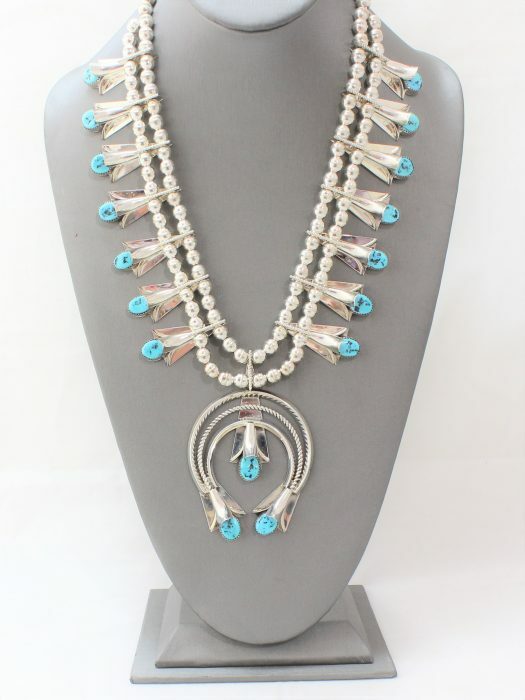 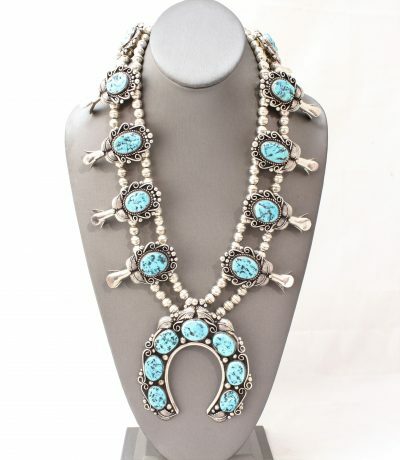 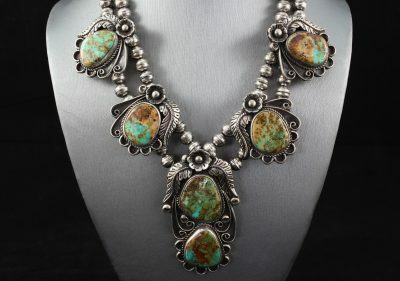 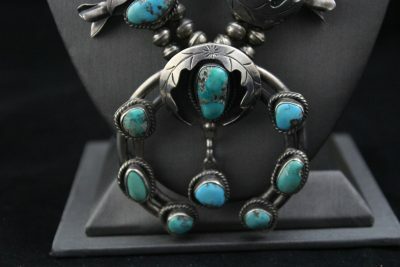 Southwestern squash blossom turquoise necklace with 14 beautiful turquoise stones. 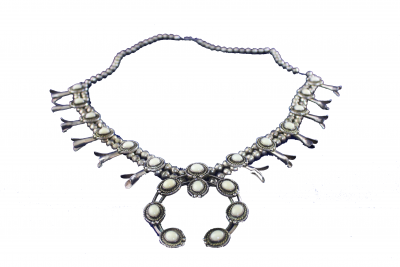 Double strand necklace features 3 blossoms on each side of the Naja with the Naja having 7 stones in a circular design. 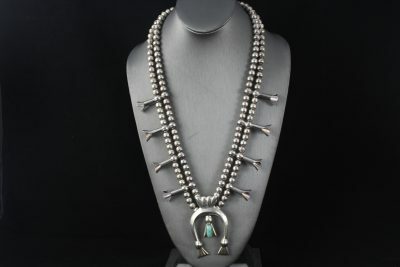 All of the stones are bezel set in a sawtooth design with a rope design around the bezel. 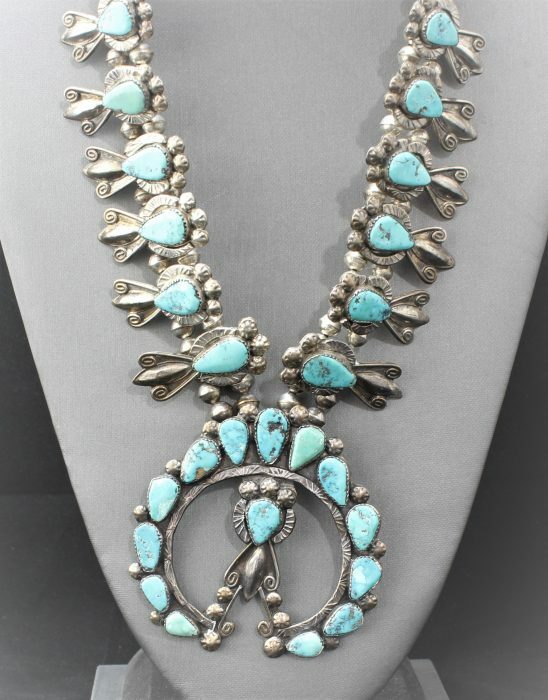 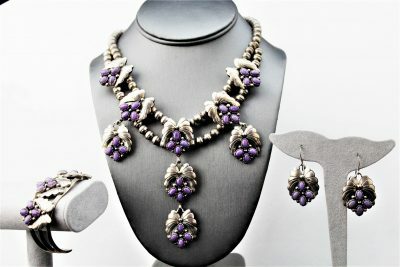 The squash blossom has five blossoms on each side of necklace.